Apparent competition is an increasing problem, causing endangerment and extinction of native prey as abundant species colonize new areas in the wake of human-caused change to the environment. This is exactly what is happening to the iconic woodland caribou across North America. Prey like moose and white-tailed deer are expanding in numbers and range because of logging and climate change, which in turn increases predator numbers (e.g. wolves). With all these additional predators on the landscape, more caribou become by-catch, driving some herds to extinction.A short-term solution would be to kill wolves but this can be seen as just a band aid, and is no longer politically acceptable in many jurisdictions. As a more ultimate solution, Serrouya and colleagues used a new government policy and treated it as an experiment, to maximize learning. The new policy was to reduce moose numbers to levels that existed prior to widescale logging, with an adjacent reference area where moose were not reduced. The results of this research are published in an article titled “Experimental moose reduction lowers wolf density and stops decline of endangered caribou,” and is published today in the peer reviewed and open access journal PeerJ. Just hours before the Tuesday night deadline approached for the public to weigh in on a proposed federal management plan for the endangered Mexican gray wolf, more than 9,000 comments had been posted online. Thousands more had been submitted to U.S. Fish and Wildlife Service by mail — most opposing a wolf recovery plan that many criticized as too restrictive to allow the species to thrive.Last week, the New Mexico State Game Commission voted to support the proposal, one that conservationists have argued will cede too much control to the states of New Mexico and Arizona. 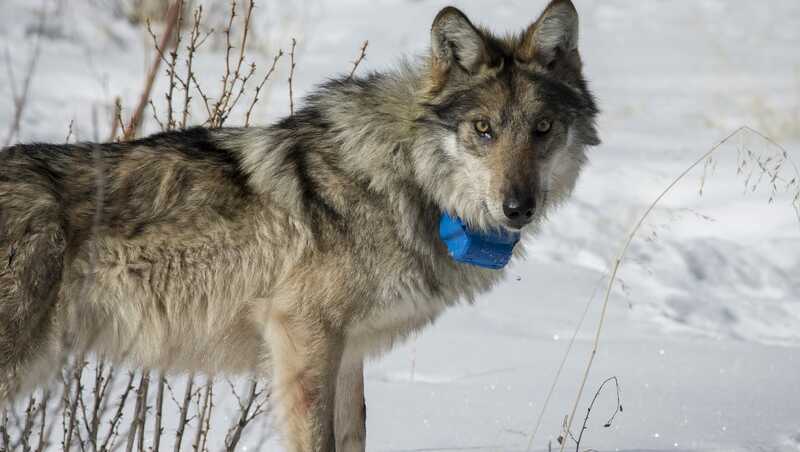 Both states have sought to limit the recovery program, and New Mexico officials have taken legal action in recent years seeking to block wolf releases.The Fish and Wildlife Service is under a court order to have a completed wolf management plan by the end of November. Over 60 business leaders have urged the federal government to release endangered Mexican gray wolves into the Grand Canyon region, expanding the predator’s habitat beyond eastern Arizona.The group submitted a letter to the U.S. Fish and Wildlife Service criticizing the agency’s long-awaited recovery plan released in June because it confined the recovery zone south of Interstate 40. Update on Washington wolves Latest reports on key wolf activities, conservation efforts, and management actionsWeekly report –August 24, 2017Producers continue deterrence efforts during Smackout pack evaluation Background WDFW’s 2017 Wolf-Livestock Interaction Protocol prescribes a variety of management actions designed to influence pack behavior with the goal of reducing depredation on livestock while continuing to promote wolf recovery. On July 20, WDFW notified the public that nonlethal deterrence measures were not achieving that goal in the Smackout pack territory, and that the department’s Director had authorized incremental lethal removal of wolves to address recurrent depredations. That approach consists of a period of active operations followed by an evaluation period to determine if those actions changed the pack’s behavior. Between July 20 and July 30, the department removed two wolves from the Smackout Pack and initiated an evaluation period July 31 to assess theeffect of that action on the pack’s behavior. This is a weekly update related to this management action. The protocol states that once a removal operation has begun, the department will update the public weekly on the number of wolves removed.